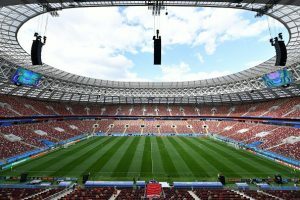 World Cup 2018: Russia welcomes the world – Royal Times of Nigeria. 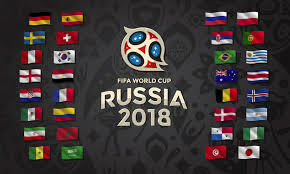 The anxious wait for the 2018 FIFA World Cup is finally over as the tournament kicks off today at the Luzhniki Stadium in Moscow, Russia. The tournament, which holds every four years, features 32 countries across the world and will take place from June 14 to July 15. Group A – Russia, Saudi Arabia, Egypt, and Uruguay. Group B – Spain, Portugal, Morocco, and Iran. Group C – France, Australia, Peru, and Denmark. Group D – Nigeria, Argentina, Croatia, and Iceland. Group E – Brazil, Switzerland, Costa Rica and Serbia. Group F – Germany, Mexico, Sweden, and South Korea. Group G – Belgium, Panama, Tunisia and England. Group H – Poland, Senegal, Colombia, and Japan. The host country, Russia will play the opening match against Saudi Arabia by 4:00 pm Nigerian time while the Super Eagles’ first match is against Croatia by 8:00 pm on Saturday.